Latif Ebrahim Jamal National Science Information Center(LEJNSIC) at International Center for Chemical and Biological Sciences, ICCBS, University of Karachi is serving as a hub of information dissemination and propagation of knowledge in frontier sciences in Pakistan, equipped with cutting edge information and communication technologies and with full access to world’s largest digital library resources with Full access of Thousands of Free E-Books, Uncountable Free E-Journals, Thousands of Free E-Databases and Free access of Full-text Research Articles via inhouse Digital Library with 150+ Computer Terminals. The L.E.J. National Science Information Center is bound to have a strong impact on Science and Technology landscape of the country and to facilitate the human resource development in research, science and development with information and communication technologies through the access of Digital Library. The LEJ Center at the ICCBS has also been serving as the focal center of the Virtual Education Project Pakistan (VEPP) that is led and supervised by Professor Atta-ur-Rahman, FRS (Patron-in-Chief), in association with Prof. M. Iqbal Choudhary, Director ICCBS. The vision of the program is to provide an interface for the researchers and reputed institutions from around the world to collaborate, share and enhance their knowledge through state-of-the-art equipment i.e: country wide centralized Video Conferencing setup and Interactive webinars providing Free Courses, Lectures, Workshops and Public Awareness Seminars at the center. Access of digital resources through Wi-Fi in the entire campus. The L.E.J. National Science Information Center is the first of its kind in Pakistan which has modern information and communication technology tools and access to the most advanced and important databases of the science and technology in the world. 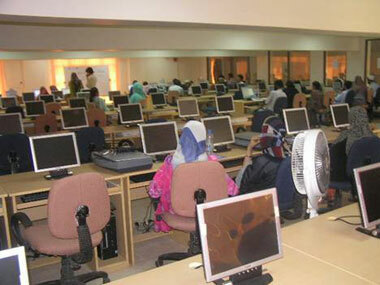 The center is open for everyone between 9:00 a.m. to 12:00 a.m. More than 7,000 researchers, faculty members and students from various departments of University of Karachi and other institutions are benefiting from the information resources of L.E.J.N.S.I.C. More than 23,000 online journals and 50,000 online text Books with full access are available in the knowledge center. Top class offline scientific databases are also available as a part of the huge source of information. E-Books facility is enabling researchers and scholars to carryout the best of academic research and teaching, as L.E.J.N.S.I.C. is now providing free access to 50,000 online books, in addition to 23,000 journals.  The E-books (Ebrary by the Higher Education Commission) support program allows researchers and students to access most of the important text and reference books electronically in various disciplines such as, Business and Management, IT, Engineering, Health and Biomedical, Life Sciences, Physical Sciences, Social Sciences, Humanities, etc. For the first time, Springer's E-books are available on perpetual access i.e. fully downloadable. These books cover a wide range of disciplines published during 2005-2007. These books are available for all public/private universities recognized by HEC. Ebrary offers a wide variety of content across many subject areas, especially in business and social sciences. It acquires integrated collections of e-books and other content. Ebrary continues to add quality e-books and other authoritative titles to their selection from the world's leading academic and professional publishers. Users are able to copy paste each page and print up to 40 pages at a time.41,800 e-books are accessible. L.E.J. Center has an excellent collection of information on CD’s, in the form of software and databases, related to various fields of sciences, engineering, and information technology. The Latif Ebrahim Jamal National Science Information Center is being equipped with the video conferencing facility. The video conferencing equipment which is being purchased for this purpose is according to the specifications of the H.E.C. and is manufactured by internationally reputed companies (i.e. Tandberg and Polycom). State of the art video conferencing equipment has been installed at the L.E.J. National Science Information Center and the Center is serving as the national focal center for the video conferencing platform. We are also inviting eminent scholars for online lectures/Courses in different fields of Science and Engineering from foreign as well as local universities and academic institutions. In response to these invitations, we have received positive response from more than 2,000 scholars worldwide who were interested to deliver lectures in this on-line lecture program. IP based video conferencing session is being used in the video conferencing facility. Video Lecture facilities are now fully functional and students of different institutions are regularly visiting and benefiting from this facility. Video lectures are delivered by eminent scientists and scholars on topics related to chemistry, biochemical science, molecular medicine, engineering, mathematics, information technology as well as social science subjects. One of the major goals is to build up scientific approach and awareness in the young students of various schools and colleges through these facilities. For this purpose, we have invited several schools and colleges to attend these knowledge-based lectures. This Center is also publishing newsletter on weekly basis through which information regarding the new updates in Digital Library and coming up lectures is circulated to various departments of University of Karachi. The Virtual Education Project Pakistan is an effort to bring scholars around the world into a forum from which they can enhance the quality of teaching and learning environments of the developing world. The higher education sectors of the developing world are deeply in need of highly trained scholars to deliver a basic undergraduate curriculum but cannot afford to replace local faculty with western- trained academics. 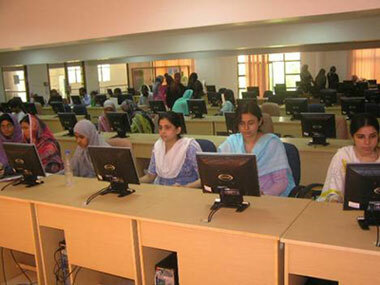 The Virtual Education Project Pakistan is conceptualized by academics in Pakistan and is built on the premise that academics around the world and from a variety of disciplines (Natural Sciences, Life Sciences, Engineering Sciences and Social Sciences) would deliver courses/lectures to students in the developing world through video conferencing technology. The technology now exists to broadcast those lectures into the classrooms of participant institutions across Pakistan owing to major investment in the higher education sector of Pakistan over the last eight years. With careful planning and coordination, curricular support could be solicited, organized and offered to university campuses, all through video conferencing technology. The Virtual Education Project Pakistan a platform on which a global network of scholars with an interest in the developing world can come together. These scholars are approached both directly by the programme directors and indirectly through academic organizations such as the New York Academy of Sciences. The model on which the VEPP project runs is based on existing university infrastructure and technology. Unlike other Distance Learning models, the VEPP project supplements but does not replace traditional learning environment. Basic investment in the Video Conferencing Technology which this project relies on has already been made by the Higher Education Commission over the last 7 years. Through HEC trained staff, universities maintain network uplinks to a central server through which courses are broadcast in real-time. Enrolled students are expected to attend VEPP courses, engage with the lecturer, and complete all assignments set by the instructor. Note: All online lectures of courses, workshops and additional lectures (not part of courses) are also available at http://streaming.hec.gov.pkdelivered under VEPP from January-December 2016. The project’s use of video conferencing technology to enhance the curriculum of Pakistani universities commenced five years ago. Since then, over 3500 separate lectures have been delivered. Since January 2011, the first video-conferencing based comprehensive courses meeting the course requirements of students have been launched. These courses, offered by eminent scientists from around the world, include 1, 2 and 3 credit hour courses in Mass Spectrometry, Bioinformatics, Computer Sciences and Nanotechnology as well as undergraduate courses in Biology and Chemistry. Students enrolled in these courses through partner institutions are registered with the VEPP office, they complete assessments which are marked through the VEPP programme and are given course grades which are communicated to their home institutions. The home institutions include VEPP course credit and course grades on their respective students’ transcripts.